Researchers in Southampton are leading a pioneering national initiative to incorporate alcohol awareness into breast screening and breast cancer clinic appointments. Led by Dr Julia Sinclair, an associate professor of psychiatry at the University of Southampton and a consultant in alcohol liaison, and Dr Ellen Copson, a consultant in breast oncology, of University Hospital Southampton NHS Foundation Trust, the project – Abreast of Health – aims to enable women to record the amount of alcohol they consume and receive feedback – eventually through the development of a web-based app. Breast cancer is the most common type of cancer in the UK, with one in eight women likely to be diagnosed at some point in their lifetime – but around 30 per cent of cases may be preventable through changes in lifestyle. In a pilot study, less than 20 per cent of women who attended screening or a symptomatic clinic in Southampton were aware of alcohol as a risk factor for breast cancer – despite it being second only to obesity. 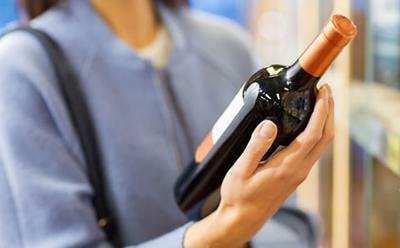 “We want to empower women to know what they are drinking as so many are unaware and, for breast cancer, the risk increases with every unit of alcohol consumed from one unit a day – which is around half a medium glass of wine,” said Dr Sinclair. She added: “Evidence shows that people are more receptive to health improvement advice and to make positive changes in their lifestyle when facing significant health events. Dr Sinclair said society needed to “catch up” with where it is with smoking and be made aware “alcohol is in the same cancer-causing league as tobacco”. “Thirty years ago smoking was the cool thing to do of an evening out and now, with alcohol, many people see it as the default option to wind down of an evening,” she explained. As part of the 18-month programme, which is being funded by the Medical Research Council and being developed in Southampton, researchers will use the study as an awareness-raising initiative alongside input into the development of an app. Dr Sinclair said: “This is really about prevention and the first part of the study is to get women’s input into what the app should be about because most of the apps available at the moment are for people at higher levels of risk of drinking and we don’t need to replicate them.